Merrick vs Blue Buffalo (DOG FOOD SHOWDOWN) | HerePup! 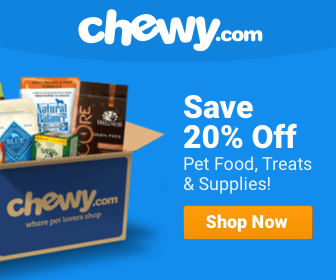 In the land of dog food brands, the choices are seemingly endless, with numerous dog food brands vying for your attention, your money and your dog’s approval. Merrick and Blue Buffalo are some of the most popular brands out there, but with the help of our guide you’ll be able to make a more informed decision! Merrick Dog Food, from Merrick Pet Care, makes the bold claim of making the Best Food Ever for the Best Pet Ever – Yours. 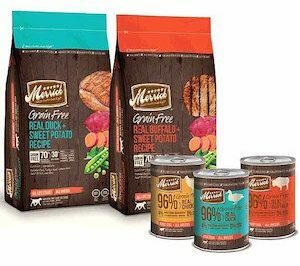 Creating high-quality dog and cat food alike, Merrick prides itself on using whole deboned meat, fresh produce and locally sourced ingredients that means your dog is eating all-American products. Luckily, from what we can see of Merrick’s products, they do live up to the hype. While they’ve got dozens of products to choose from, a closer look at the Grain Free Real Duck and Sweet Potato Mix showcases an incredibly strong dedication to its all-natural ethos. The vast majority of this dry dog food consists of deboned duck, chicken, lamb meal, turkey meal and salmon meal – all lean, healthy meats with the right kind of nutrition (including omega-3 fatty acids from the salmon). In addition to the high-quality meat Merrick puts in their food, the company supplements it with incredibly healthy choices of vegetables as well. Grain Free Real Duck and Sweet Potato, for instance, includes sweet potato (obviously), peas, and potato, offering a strong source of natural and dietary fibers and important vitamins and minerals your dog needs. 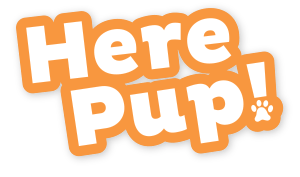 Merrick places a high value on the presence of protein in their products, providing your pup with a prodigious platform for doggy nutrition. 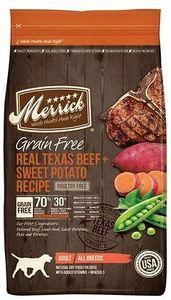 According to Dog Food Advisor, Merrick’s products offer a 3.9% fiber content (lower than Blue Buffalo, but still strong), with 38% protein, 17% fat and no more than 25% carbs, which is a pretty decent average by any measure. This is a great ratio of nutrition to filler by any measure, as the only real filler you can find in Merrick’s stuff is potato and potato protein, as well as alfalfa (which is usually found in horse feed). However, this stuff is notable only for being slightly less healthy than the rest of the primary ingredients in Merrick’s products, which should be no cause for concern. 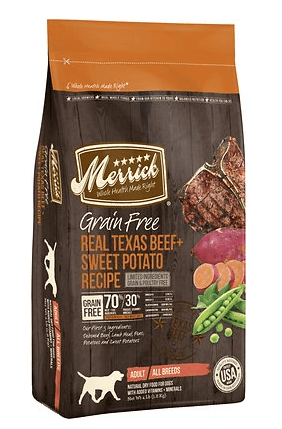 Overall, Merrick’s product are some of the best we’ve seen in the world of dog food, particularly with its high emphasis on getting good protein into the dogs that need it. The whole lineup is certified Safe Quality Foods (SQF) Level 3 (something that Blue Buffalo cannot boast), which is nothing to turn your snout up at. With its back-to-basics approach and lack of true filler in its food, it’s very much worth the trying to take care of your dog the right way. Blue Buffalo, like Merrick, places a large emphasis on locally-sourced, USA-made dog food products that center around meat as their primary ingredients. 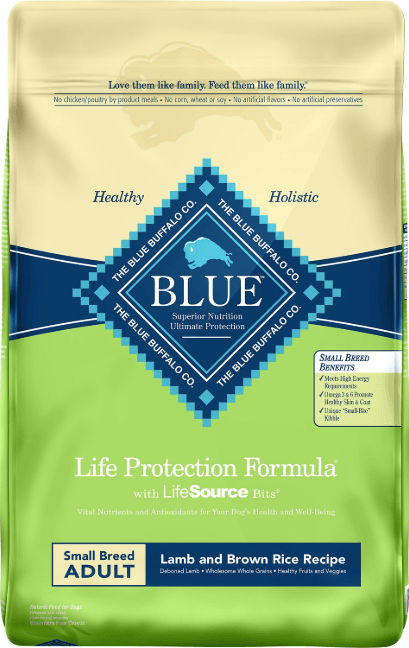 Blue Buffalo’s products are also stuffed with real fruits and vegetables, and avoid artificial preservatives, corn, wheat and other less-healthy additives you might not want your dog to deal with. 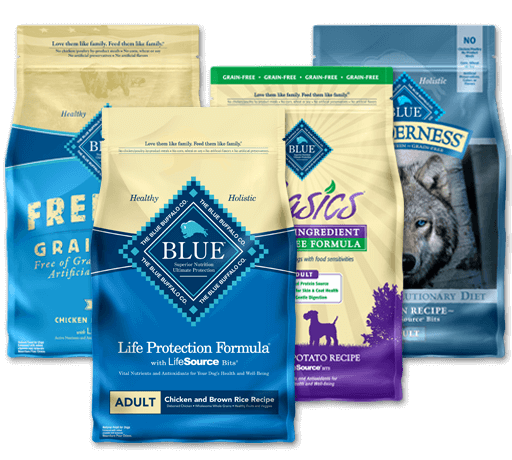 While most dog foods use fractionated grains, Blue Buffalo takes care to include quality whole grains in its products, as well as high-quality fats like sunflower, flaxseed and canola oils, as well as fish oils from salmon and herring and other healthy fish. To that end, there’s a lot to like about Blue Buffalo as a company – they seem to care greatly about the quality of their product. Like Merrick, Blue Buffalo clearly sees the benefit of high-quality meat and vegetable-based food products. Their Blue Buffalo Basics Adult Turkey and Potato food includes mostly deboned turkey, peas, potatoes, turkey mean and brown rice. While rice is often a sign of filler, the use of whole ground brown rice (a complex carbohydrate) provides greater nutritional value than other types of carb-based filler you might find in other dog foods. According to Dog Food Advisor (which gave Blue Buffalo a mid-tier rating when evaluating its food), This particular product is full of complex carbs like flaxseed (which is another great source of omega-3 and omega-6 fatty acids), oatmeal, while also supplementing them with cranberries, blueberries, whole carrots, parsley and kelp to provide added nutritional value to foot itself. Altogether, this brings Blue Buffalo’s food to an estimated fiber content of 5.6% (higher than Merrick’s score). While Blue Buffalo has its fair share of advantages, it is important to note the differences in the average Merrick product versus Blue Buffalo. While Merrick has, for instance, 30% protein on average in its food, Blue Buffalo carries an average of 24%; Merrick products contain 5.2% of omega-3 and omega-6 fatty acids, while Blue Buffalo’s average around 3.8%. Furthermore, Blue Buffalo’s products do contain some controversial ingredients, such as caramel (a natural food coloring), tomato pomace (often thought to be a cheap food filler) and dried yeast. These are not tremendous differences, to be sure, but Merrick makes sure to include sources of glucosamine (about 1200mg/kg) in its products to ensure healthy joints, and the same amount of chondroitin to keep your dogs flexible; Blue Buffalo’s levels are much lower or not even guaranteed at all. These little things can make a world of difference when comparing the two brands; they’re not dramatic enough variations to change your dog’s health and nutrition all that much if you pick one over the other, you want to make sure your dog has the best food you can get it. While both Blue Buffalo and Merrick dog foods are perfectly great solutions for your dog’s nutrition, the slightly higher quality of its product and the more concrete, consistent mission of Merrick’s products make it the clear winner in this particular matchup. All that’s left is to make your choice! While I have tried numerous dog foods trying to find the perfect food four dogs can all agree on,I have decided to stick with Merrick Raw Infusion.All my babies love the kibble, raw mixture.